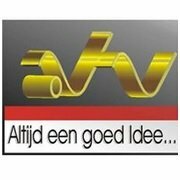 General TV Channel / Algemene Televisie Verzorging (ATV) is a television station in Suriname. It was founded in 1983 and was the second television station in Suriname. It is operated by the state's Telecommunication Company Telesur. In August 2014 ATV made work of it to switch from analog to digital tv. The network uses the ATSC standard. ATV's picture formats are 480p (SDTV) 720p (HDTV). TV2 is ATV's sister channel.